The Lime Zinger Sedum, (Sedum 'Lime Zinger'), is a hardy groundcover with exceptional lime green foliage. 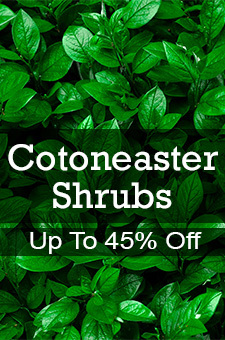 Use some for container plantings or as a compact edging plant along gardens or patios. Your Lime Zinger Sedum is a delightful choice of groundcover for almost any location. Its compressed appearance is perfect for keeping weeds at bay while its unusual coloring invariably draws the eye. Your Lime Zinger's foliage consists of tightly packed, lime green rosettes edged with a red border. Each leaf is a masterpiece in itself, but displayed as a whole, it creates a dense mat of groundcover unrivaled in its beauty. From the earliest days of spring you can depend upon a reliable show of both durable color and fast growing cover in the most difficult of growing conditions. You can also rely on an additional yearly treat when your Lime Zinger bursts forth in its late summer splendor of glorious pink blossoms. The blooms will delight your senses for weeks before finally fading away to again reveal the lovely green and pink foliage. Your Lime Zinger Sedum is fast-growing sedum, resistant to leaf scorch, drought and heat tolerant, and amenable to most soil conditions. It is also deer and rabbit resistant. Most people would expect to provide special care for such an exceptional plant, but your Lime Zinger will be a carefree part of your yard for years to come.